← What does a wagging tail mean? Briscoe, a very loveable and overly anxious German Shepherd came to the K9 Camp at the Michigan Dog Trainer for a two-week stay. The main goal for Briscoe was to be able to walk on a loose leash. His owner, a strong male, was unable to walk him in public because he would pull hard on the leash and spin circle around him. Briscoe’s level of anxiousness was so bad that if he wanted to go somewhere and was prevented from doing so, he would cry out very loudly as if he experiencing utter pain and agony. Even performing a “sit” command was difficult for him to do because it meant he was not in movement. Soon after picking Briscoe up, I video taped him during a short walk at a nearby park. And, yes, the owner was very correct Briscoe pulled hard and would circle me wrapping the leash around me. As you tried to unwrap him, he would wrap around you in the opposite direction. The included video shows some but not to the full extent of his circling behavior. He also loved car rides so much that he would try to jump on nearby cars. For most dogs this would simply mean jumping on the car that he is about to enter. However, for Briscoe this meant trying to jump on each parked car along a city street. During the two-week stay, Briscoe went from pulling hard in every direction to following behind me to finally learning to heel on the left side. He also learned to sit on command, to come when called, to heel away from other dogs instead of dragging me toward them and not to jump on cars he walked past. It is very satisfying being apart of the process in which a dog and his owner can now enjoy walks together and an enhanced life. 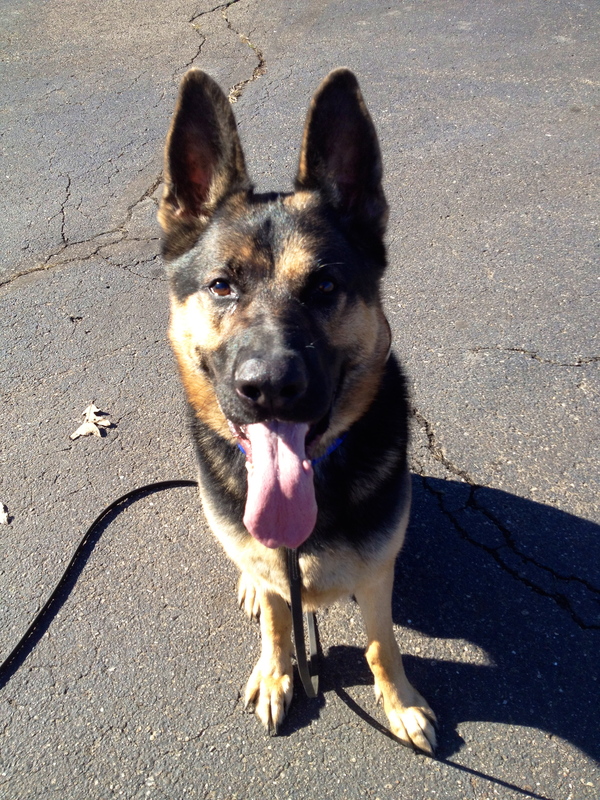 This entry was posted in Testimonials & Case Reviews, Uncategorized and tagged dog behavior, German Shepherd, loose leash walking, Michigan Dog Trainer, Michigan Dog Training. Bookmark the permalink.